Sluggish cognitive tempo (SCT) is increasingly recognized as a valid attention disorder distinct from attention-deficit/hyperactivity disorder. 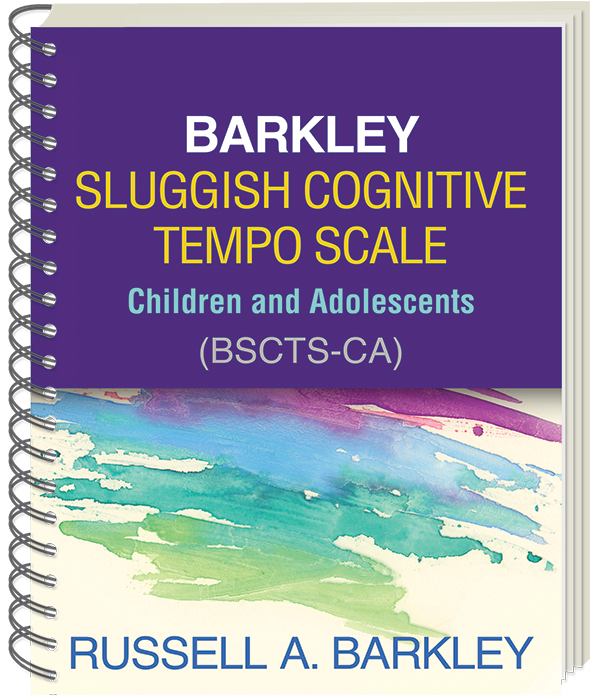 The culmination of more than 10 years of research and development, the Barkley Sluggish Cognitive Tempo Scale–Children and Adolescents (BSCTS-CA) is the first empirically based, norm-referenced tool designed to assess SCT symptoms (for example, chronic daydreaming, inability to focus, and lethargy) in the daily life activities of 6- to 17-year-olds. The scale typically takes a parent less than 5 minutes to complete. Detailed instructions for scoring and interpretation are provided. Also included is a clinical interview form based on the rating scale, for use in unusual circumstances where a parent is unable to fill out a rating scale. What does it do? : Assesses concentration deficits in the daily life activities of children and adolescents. Administration Time: Less than 5 minutes. 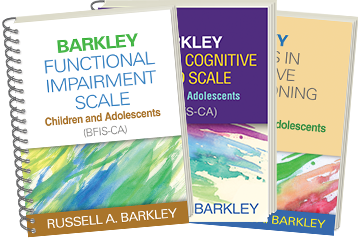 See also the Barkley Deficits in Executive Functioning Scale—Children and Adolescents (BDEFS-CA) and the Barkley Functional Impairment Scale—Children and Adolescents (BFIS-CA). Enhancing the convenience and value of the BSCTS-CA, the limited photocopy license allows purchasers to reproduce the forms and score sheets and yields considerable cost savings over other available scales. The large format and sturdy wire binding facilitate photocopying.